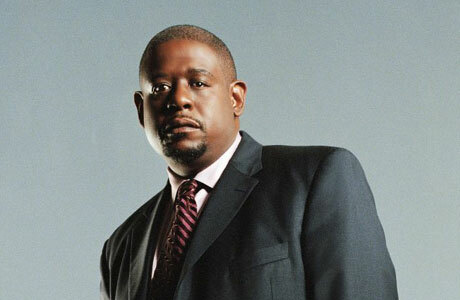 Oscar-winning actor Forest Whitaker (Street Kings) will direct his fourth big-screen movie, a Louis Armstrong biopic titled What A Wonderful World, in which he’ll play the lead role, making this the first time he’ll act in one of his directing efforts. Louis Armstrong was of course an incredibly famous jazz trumpetist and singer, active throughout most of the 20th century and probably best-known for the song which gave the movie its title. The film will start shooting next summer and Louisiana, and you can bet they’ll release it in 2011 to coincide with the 100th anniversary of Armstrong’s birth. The strange thing here is that while Whitaker is well-respected as an actor, he isn’t considered to be good director at all, with his last effort being the widely reviled First Daughter. Another strange thing is that the film is being produced by a Frenchman, Alain Goldman, to his credit no stranger to musical biopics after last year’s hit La Vie En Rose. This entry was posted in American Films, Biopics, Celebrities, Movies Based On A True Story and tagged Alain Goldman, First Daughter, Forest Whitaker, Jazz, La Môme, La Vie En Rose, Louis Armstrong, Louisiana, Street Kings, What A Wonderful World by Mr Hollywood. Bookmark the permalink.